It's been a while since I baked up some bread. But I couldn't just make one big loaf, so I opted for a pile of little mini loaves, made dairy-free with pumpkin and lots of spices. In fact, this bread is so well spiced, that you might stop for a second, like I did, and wonder if it's gingerbread, thanks to a little bit of added molasses. Soft and tender, this is a delicious little loaf. I had a bit with my breakfast and then later a little nibble for a late night snack. It's just too good. And since it's vegan, you know there was a reason that I decided to make this recipe, as my tendencies rarely lean toward vegan or dairy free cooking. 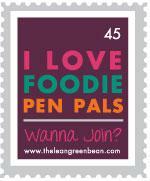 So a vegan recipe and the last day of the month can only mean one thing: Foodie Pen Pal reveal day! These cookies scream fall in New England without being pumpkin or apple flavored. There's nothing like stopping at a sugar shack in Vermont while leaf peeping to pick up a jug of maple syrup, and possibly some other maple goodies. But cookies are not a maple treat I typically see in our New England travels, so I was eager to try them and they certainly are delicious. These maple toffee cookies have a strong maple flavor and are studded with crunchy toffee and speckles of chocolate. A delicious and crisp cookie perfect for enjoying with coffee or tea, you might find these as a new fall favorite. There's a lot going on in these cookies and I can tell you it all comes together in one delicious bite of pumpkiny, oaty, cinnamony goodness. This is also the first time I've used brown butter for a cookie and I'm very pleased with the subtle, but delicious, difference. I think I like it because the brown butter has a nuttiness to it that goes really well with the oats in these cookies. The cookies are really soft, thanks to the pumpkin, but still hearty with the oats. And cinnamon chips a perfect mix in. In hindsight, I which I had tossed in some dried cranberries as well, but there's always next time. I have a feeling these will be requested in the future. So I've heard all the rage about adding pudding mix to your cookie dough, but I hadn't yet tried it. Now that I have, I can honestly say, I'm a believer. These cookies ended up soft and fluffy in a way that I don't think I've had before. With the addition of enhancing the dough with great butterscotch flavor, the perfect palate for adding a bunch of chips--chocolate, white chocolate and butterscotch. Plus, I got the best compliment on these cookies. I took them to work for a training session and was questioned about whether I actually baked them, being told "They look too perfect to be homemade." Aw, shucks. That's just how I roll. The cookies are delicious, slightly salty in the best way because there is plenty of sweetness to go around. I love this chicken. Tender and juicy, coated with a salty pretzel crust held on by a thin mustard glaze, this chicken is a delicious entree, and we have it pretty often in our house. I love that it's simple to prepare but has a ton of flavor. Plus, it's a unique twist on baked "fried" chicken. The pretzels keep their crunch, and I even though I'm not a mustard fan, it's a perfect complement to the pretzel coating. Serve this up with a salad and maybe some roasted squash or potatoes for a delicious dinner. It's October. The temperatures are cooling and football is in full swing. That means chili season, pumpkin season and beer season. Well, it's kind of always beer season for us, but now that I've discovered the excellent flavor enhancing skills of beer when added to chili, beer and chili go together in a whole new way in my kitchen. So I completely devoured this chili made with a mix of turkey, pepper and onions, tomatoes, pumpkin and lots of seasoning, as well as a nice, healthy serving of beer. This is a perfect chili for October--oodles of flavor, hearty and filling for cool fall evenings, and a savory pumpkin base. Yet another chili for our rotation, and that's just fine with me. Soft, chewy, peanut butter cookies that are almost overloaded with peanut buttery goodness. Almost. Peanut butter, peanuts, peanut butter chips, and chopped peanut butter cups all mix in to this batter with amazing results. These cookies are more than good. They're heavenly, and a completely different way to enjoy peanut butter than the monster bars I made last month.. Sweet without being sugary and all the peanut butter goodies you could want, these cookies represent perfection in birthday baking for my nephew Aidan who hit double digits yesterday. He could survive on peanut butter alone and as soon as I saw this recipe, I knew he'd love it. Dave did, too, so that was a good indication I was on the right track. Perfectly soft cookies and bit peanut butter flavor are just about all you need to turn 10, right? I can think of all kinds of meals for which this black beans and rice dish would make the perfect side, but my favorite way to have it has actually been for lunch with a green salad. It's filling but still has light, fresh flavors that keep me going through the afternoon. Dave surprised me by really enjoying this as well, and he's figured out that wrapping some of this in a tortilla with a little taco sauce or salsa makes a perfect and quick burrito. There is a bit of sweetness from the tomatoes and a gentle heat from the diced chilies, plus lots of flavor from cilantro, cumin, onion and garlic. Definitely yummy and healthy never hurt anyone. I'll admit it: this combination simultaneously intrigued and scared me. I mean, I thought it could be tasty, but the back of my mind told me that pumpkin and peanut butter just didn't belong together. But I ignore that little voice in my mind and went with it for these bars. They are soft, moist, chewy and nutty with sweetness and spice. Neither the pumpkin or the peanut butter overpowers the other, but compliment each other, making and excellent duo paired with the oats. Dave and I both enjoyed them, as did the ladies as work when a took a few in to share at a training. What can I say? I'm a believer in the pumpkin/peanut butter combo. 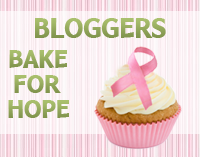 I love a twist on a recipe standard. Like meatloaf. It can be dressed up in so many ways (like this one or even this one). And this recipe is yet another way of proving, you don't need to make your grandmother's meatloaf (unless her recipe is fantastic, then definitely make it). But if your standard meatloaf leaves you wanting more, try this variation to turn your meatloaf into a cheeseburger dinner, without the bun. Ground beef is doctored up with ketchup, mustard, onion and burger season, then stuffed with cheese, only to have more cheese melted over top for a delicious dinner and a new way to make meatloaf. October means it's pumpkin season and now I can unleash all the delicious pumpkin recipes I've been wanting to make since last fall. Truth be told, I love pumpkin so much I'm not afraid to cook or bake with it "out of season." Regardless, pumpkin taste like fall and these fluffy, soft pancakes are a perfect way to start your crisp fall mornings. Spiced with pumpkin pie spice, these pancakes have an excellent pumpkin flavor and are just lovely for brunch. Or cook up a bunch on a weekend and freeze them for quick breakfasts during the week. Warm and covered in maple syrup, pancakes like this are exactly why I enjoy fall mornings.